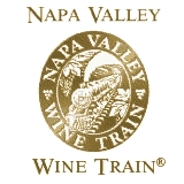 (NAPA, CA) The U.S. Department of State and the U.S. Embassy in Tbilisi, Georgia have invited The Napa Valley Wine Train’s Executive Chef Kelly Macdonald to participate in the U.S. Speaker and Specialist Program sponsored by the Bureau of International Information Programs. Macdonald’s trip to the Republic of Georgia this month is part of a program to help explore food and wine culture and tourism development. Macdonald will travel to different regions within Georgia to conduct workshops, seminars and master classes on California cuisine. He will be working with, and speaking to, local chefs, culinary students, and wine and tourism officials. Chef will travel to Tbilisi in the Eastern Georgian region of Kakheti, and to Georgia’s Black Sea coast near the cities of Kobuleti and Batumi. The Republic of Georgia is known as the “cradle of wine,” and Georgian life remains deeply in touch with the Bacchic tradition, where reverence for the grape touches many aspects of contemporary Georgian culture. The Bureau of International Information Programs runs the U.S. Speaker and Specialist Program, which selects U.S. experts to deliver lectures, serve as consultants and conduct seminars. According to their website, having an expert from the United States speak to foreign audiences is a compelling way for posts to deliver messages about U.S. policy, society, and culture. Contact Info: Melodie Hilton, Napa Valley Wine Train (707) 251-5210 Images available upon request.